My Journey to Fit: Skinny & Co. Coconut Oil Review! 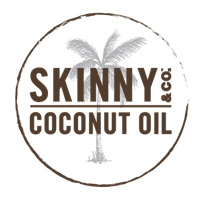 Skinny & Co. Coconut Oil Review! While coconut oil has been all the rage for years now, I haven't jumped on the bandwagon. Why? Mostly because I don't cook all that much and can't be bothered to do anything different. However, when Skinny & Co. offered to send me some of their coconut oil, I decided to give it a try. I'll be honest - I get quite a few offers of freebies for review, and I am not interested in most of them, but I love the smell of coconut and wanted to try making my Hippie Granola, which contains unsweetened coconut flakes, with coconut oil instead of the canola oil that I've been using for years. This is what traveling in 100 degree heat does to coconut oil. I couldn't resist opening up the jar and taking a sniff; I was rewarded with the light scent of fresh coconuts! Aromatherapy at its best for me, as I was brought back to Maui in an instant (if only in my mind, sadly). I wasn't ready to cook with it, but I got a spoon and took out a tiny amount and used it as moisturizer for my hands and elbows, which made me inordinately happy all day, as my skin was super soft - plus it smelled amazing. In addition to coconut oil, the facial oil also contains roman chamomile extract and lavender extract, so the scent is more than just coconut. This can be used as a makeup remover, a facial cleanser (not that I would ever need to use oil for that - I'm still enjoying my greasy teenage skin), as a moisturizer (again - greasy mcgreaserson over here has no need for this), and as a beard oil. I usually don't like using scented products on my face, so I tried it on my feet first and I have to say, my heels, which never look all that great, are starting to lose their dry, cracked look - plus they are definitely softer. I noticed that the scent dissipated pretty quickly, so I dabbed a tiny bit around my eyes, which is pretty much the only place on my fact that could use a little moisturizer; the scent didn't bother me at all, and that is saying something because I've had to wipe off lipsticks in the past due to their scent. The only thing that confuses me a little about the facial oil is that it's turned solid now that it's been inside a cooler environment (i.e. my house) for a while, and I can't envision trying to remove mascara with a solid product vs a liquid. 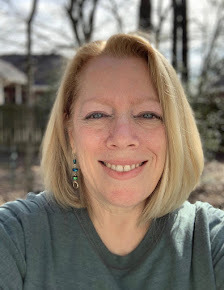 Of course, I rarely actually remove my makeup anyway - true confession time - usually it melts into my face by the end of the day, and I just wash off whatever is remaining in the shower. I am low maintenance. Or lazy. Sometimes one and the same. But getting back to the coconut oil, I'd like to tell you that I made my Hippie Granola with it. I have all of the ingredients on hand, and I'm sure it's going to taste so good and remind me of the tropics and I'll be Hawaii-dreaming all day long...but the fact is, it's just too darn hot to turn on my oven right now. Maybe someone in, I don't know, Minnesota (I hear it can snow there in JULY, what the heck?!?) would bake in the summertime, but it's just not happening here in Texas. So I'm tucking this lovely bottle in my pantry, next to my boring old olive oil, and I'll give it a whirl next time the temperatures drop below 85 degrees and I can stand to heat up my kitchen. If you'd like to try any Skinny & Co. coconut oil products (they have body butter, sugar scrub, lip balm, raw soap, shampoo bars, and pulling oil), I have a discount code for you: SKINNYCO15 will take 15% off of your order! And if you do happen to make my Hippie Granola recipe with the coconut oil, could you take pity on this sweaty Texan and send me some? FTC Disclosure: I was not financially compensated for this post. I received samples for review purposes. The opinions are completely my own based on my experience. My mom just raves about coconut oil. I think she puts it on her hair. I've never tried it. I'll bet it would make one heck of a good hair mask! I entered the coconut oil fray back when I did the Whole 30. I mean, it's fine but like you, I don't need heavy oils for my skin so I've only tried to cook with it. I will tell you the one thing that bothers me about coconut oil is somehow it has gotten the reputation of being "better" and "lighter" i.e., people think they can eat as much as they want and it has no calories. So not true. I don't think having an oil named "Skinny & Co." probably helps this illusion either. But I think the trend is here to stay. I was in my grocery store last week and noticed Crisco now has a coconut oil on the shelf. I agree, the "Skinny" in the name is misleading when it comes to oil. LOL on Crisco coconut oil. You KNOW the trend has gone mainstream when you can get it with Crisco! I love coconut oil. We have been using it for years in cooking and let me tell you - recipes that call for butter or oil and you sub coconut are amazing! The oil is so much lighter. It's also a big ingredient in my soaps, too. It's still a fat, though. The amount of coconut oil you would need to ingest to get the "fat burning" properties it has would negate that benefit. I sometimes put it on my skin, but TBH, I am so lazy that I'm lucky to even wash my face before bed LOL. I'll definitely use it for cooking and I'm looking forward to tasting the difference! Ha! I am planning to make a batch of your hippie granola today! And I have some cheap store-bought coconut oil, so I will try using that. Let me know if you notice a difference! I have bought coconut oil once for a recipe and ended up throwing it away because I didn't use it and it wasn't good anymore. I only use olive oil which is just as good in my opinion. I use it regularly to cook and love the scent, too. I've only used it on my dry feet, and you're right - it works great on cracked heels! My heels have never looked better. Of course, it's also probably because I'm actually using something on them...I have a hard time keeping up with a beauty routine, but this stuff smells so summery that I am enjoying using it. I'm a coconut fanatic!! I put it in my coffee every morning. I have been shopping around with different brands of late and this came up on my feed just at the right time. But like others have commented, it isn't a "skinny" oil like all oils it has a lot of calories and you have to be careful and not over use. A friend of mine swears by coconut oil, for cooking, her skin, insect bites, rashes etc. I've never tried it...but I should. Happy Monday Shelley!